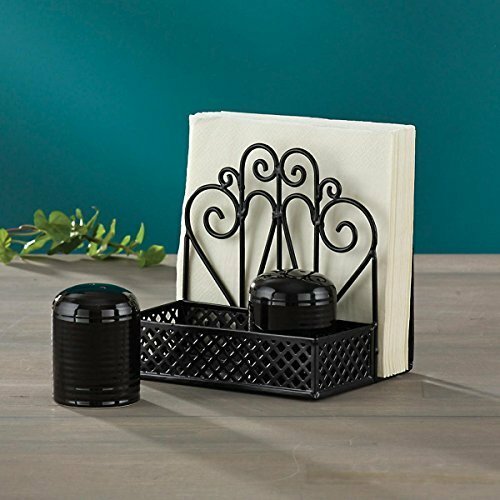 Keep napkins neat and close at hand with this napkin holder. 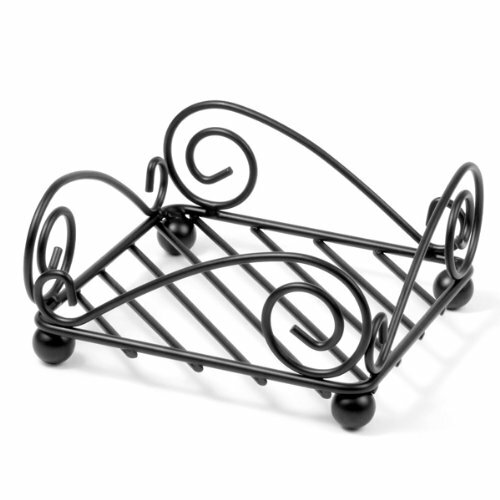 Made from heavy weight cast iron steel. Rust resistant. 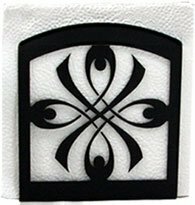 Beautiful simple Fleur de Lis design is perfect for any kitchen. 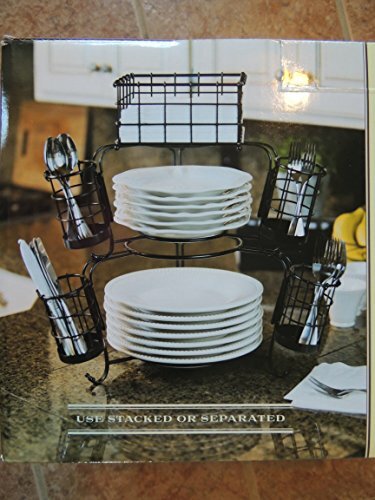 Black Salt, Pepper and Napkin Caddy This multi-functional caddy was inspired by a vintage wrought iron gate and lattice fencing6" Wide x 4-3/4" Deep x 6" TallOpening for shakers measures 2-3/4" Deep x 6" WideMaterial: Iron Priced and sold individually. Salt and pepper shakers not included. Designed and manufactured by Park Designs. 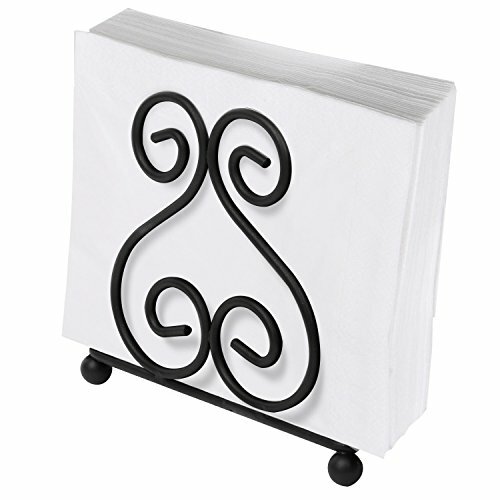 Keep your napkins dry and organized with this metal freestanding napkin holder. 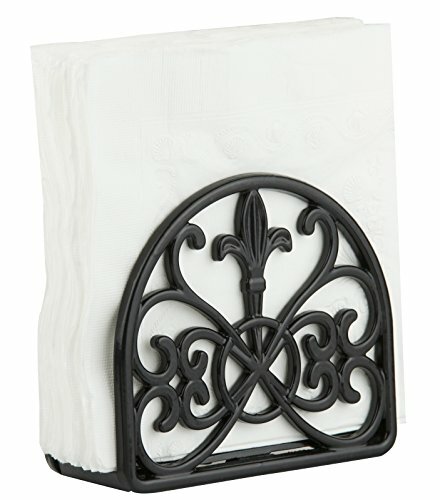 This antique style napkin dispenser features a unique scroll work design, wire mesh bottom and four round feet, to keep your napkins looking stylish. Perfect for easy access to napkins at picnics, buffets or the dinner table. 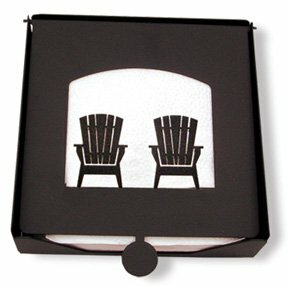 It's dark brown bronze color give this napkin organizer a vintage appeal, allowing it to stand out at your next event. 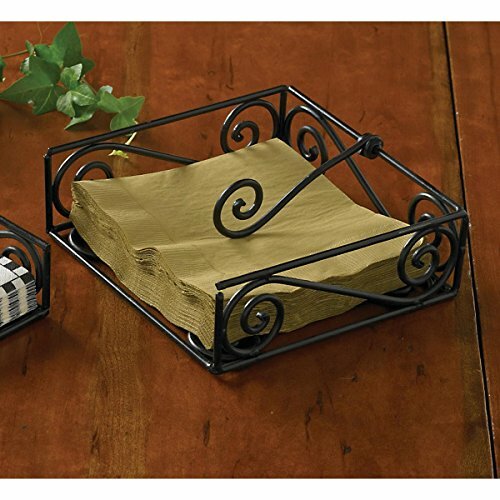 So go ahead and keep your napkins dry, organized and sophisticated with this decorative metal napkin holder. **Official MyGift® product. 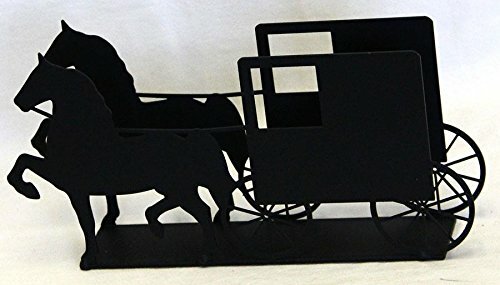 **Approximate Dimensions (in inches): 5.0 H X 6.0 W X 2.25 D.
Black Village Scroll Luncheon Napkin Holder 7-1/2" Square x 2-1/2" Tall Priced and sold individually. Also available in smaller size. Designed and manufactured by Park Designs. 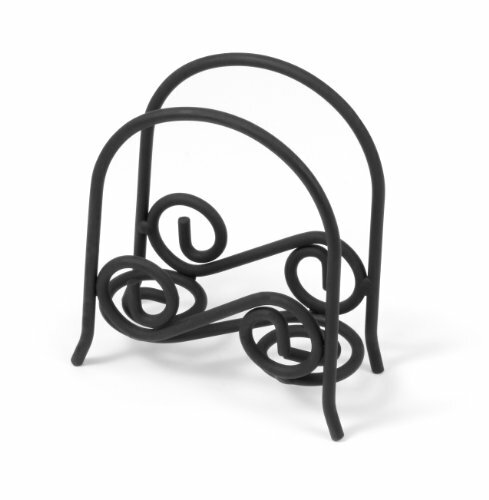 Copyright © Wholesalion.com 2019 - The Best Prices On Wrought Iron Napkin Holder Online.